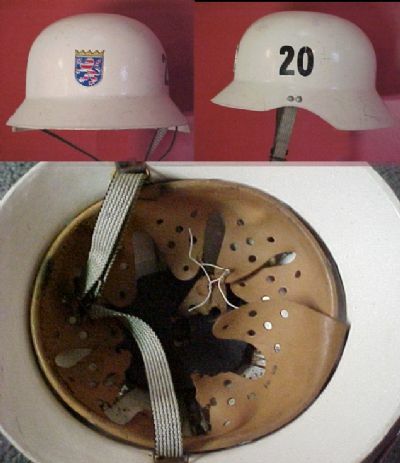 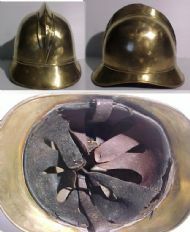 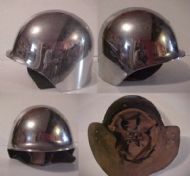 This was the helmet of the Deputy Head of Reutlingen District Voluteer Fire Brigade, Helmut Kober. 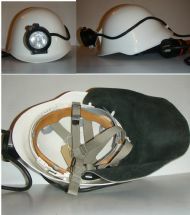 A light rescue helmet with detachable headlamp. 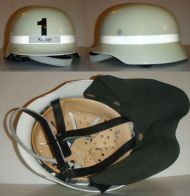 The Technische Hilfswerk (Agency for Technical Relief) helmet.This a Drager FPS 4300, one of a batch sent for testing before delivery. 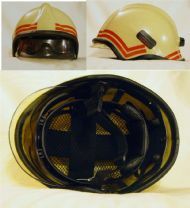 The liner was found to be inadequate and uncomfortable and so was modified for the production version. 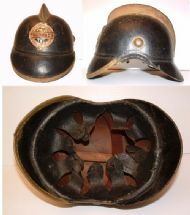 The maker of this helmet is not known but the model designation is GR2S3358/1. A early 20th century leather helmet from Grunbach, by Rosenbauer, model 1021 Oester Helme. 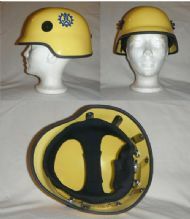 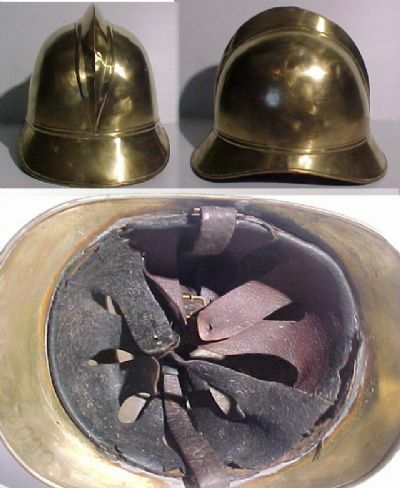 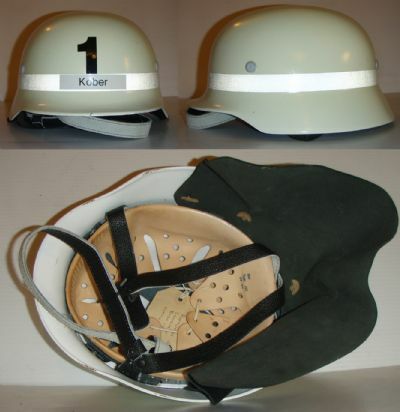 A lightweight Bund BLSV fibreglass helmet from the Schlitz Voluteer Fire Service in the district of Hessen.